A. W. Hastings & Co.
Every day, BAYADA Nurses, Therapists, Home Health Aides, and Medical Social Workers provide quality care to people of every age and stage of life, in 22 states and India. 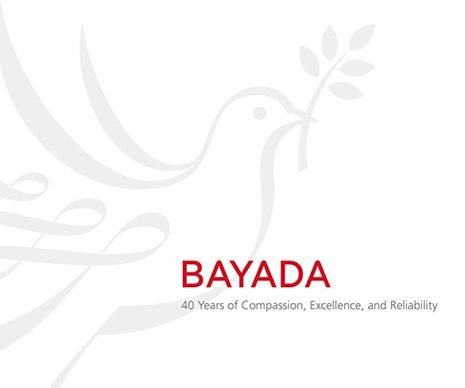 The company’s heartfelt commitment to providing care with compassion, excellence, and reliability—a philosophy known as The BAYADA Way®—is an extraordinary example of a living, breathing corporate culture. The 40th anniversary history of BAYADA Home Health Care chronicles that culture and the amazing person behind it, founder and president Mark Baiada. To create the book, we conducted 75 hours of oral histories. “We’d like to see more emotion,” said Founder and President Mark Baiada, Company Director Ann Baiada, and other in-house readers after they reviewed the first draft. That all-too-rare response indicates BAYADA’s keen interest in narrative. In further consulting with BAYADA, we found them to be one of the most fascinating companies we’ve had the privilege of working with. 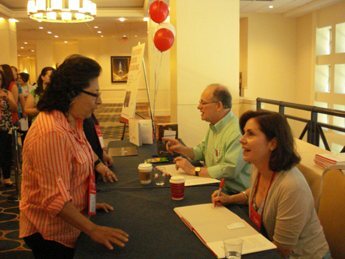 The capstone came when Mark signed the history book for more than 2,000 employees at BAYADA’s 2015 Awards Weekend! 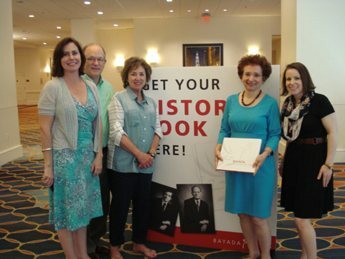 Celebrating 40 years of BAYADA history: Book author Christine McLaughlin, BAYADA Founder and President Mark Baiada, Director Ann Baiada, CorporateHistory.net Publisher Marian Calabro, and BAYADA’s Janice Lovequist. It’s all about the story and the personal connection! 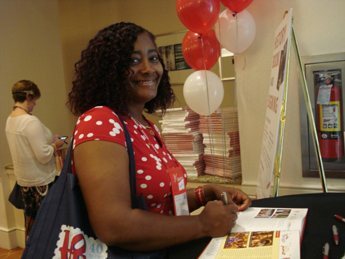 Employees lined up to have their BAYADA Home Health Care history books signed by CorporateHistory.net author Chris McLaughlin and BAYADA President Mark Baiada. BAYADA employees signed a special book for President Mark Baiada. We recommended our colleague Mimi Bowling, whom BAYADA hired to archive 40 years of materials. These items had been stored throughout the company’s offices, as well as in the basements and attics of employees and company owners. The process turned up some remarkable finds, including handwritten documents that are showcased as chapter openers in the book. BAYADA’s documents and artifacts are now organized and housed in environmentally stable conditions. Key employees have hands-on access to the collection as needed.